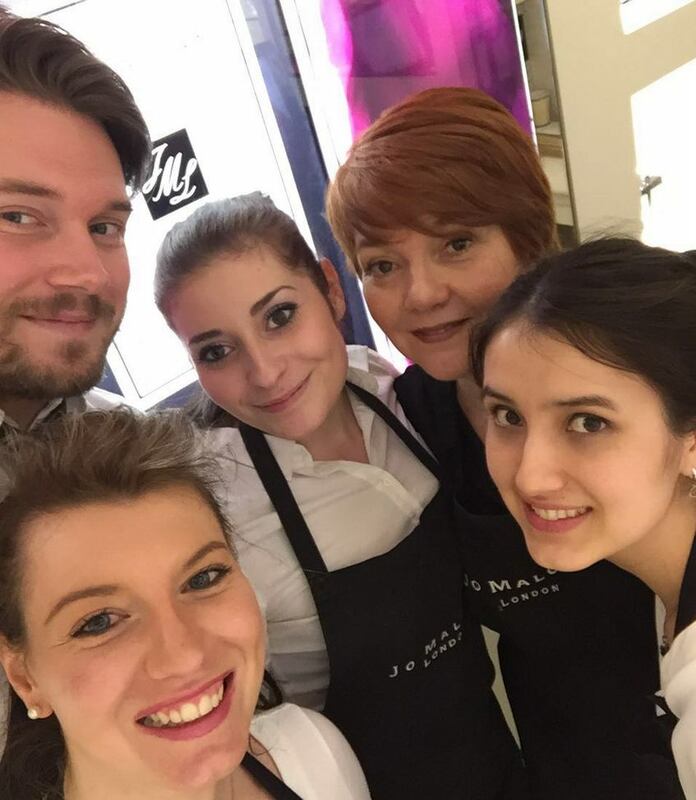 The MBA in International Luxury Brand Management class of 2016 have just completed their Boutique Internships. For one week, the students learn first-hand about the customer experience in luxury boutiques and how management decisions impact these stores and final sales. My internship at Ferragamo in London began normally enough: I arrived just in time for the daily morning briefing, and, having phoned in ahead of time to speak with the manager, Mr. Abraham Ziad-Hughes, was warmly welcomed into the fold. Though I was there for only a week, I was able to spend time with every member of Ferragamo’s Sloane Street team: my Monday morning was spent understanding and exploring the stock room with the inventory manager, the afternoon running through store design and layout with the Visual Merchandising manager and store supervisor, and the early evening being briefed on CRM, and the four store sections (women’s shoes and accessories; the Ferragamo Creations collection; men’s shoes and accessories; and women’s RTW). I was also lucky enough to have Ferragamo’s history explained to me – an utterly enthralling tale of childhood ambition, ingenuity, and Hollywood glamour. By the end of the first day I had begun actively participating in the store’s retail activities, and was even able to help make sales. 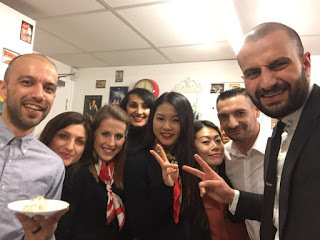 I was also fortunate enough to attend the buyer’s training with the Ferragamo sales teams from Sloane Street and Westfield – thereby receiving a detailed education on the inspirations for Ferragamo’s current collections. My week with Ferragamo was brief but extremely rich: I came away not only dreaming about the brand, but also with a much better understanding of retail operations, team management, and how a successful luxury brand is moving into fashion’s future. My boutique internship turned out to be a great and rewarding experience. The Jo Malone boutique in Saint Honoré in Paris has amazing people, full of energy and knowledge. I was warmly welcomed into the team, they taught me all about the products and future collections, as well as how to run the daily operations of the store. I got to sell perfumes and candles while I practiced my French and even got to help some Mexican customers in Spanish. Time flew and by the end of the week I was sad to say good bye. 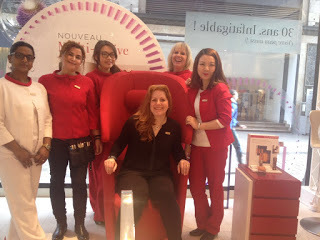 For five days, I took a deep dive into the world of beauty at Clarins Printemps Haussmann in Paris. I started off my boutique internship week by meeting with my manager who explained Clarin's history and what makes their products well known worldwide. Next, I met my fellow beauty consultants who were a wealth of knowledge and graciously trained me on the skin care, body care, and make up lines. I shadowed them in the sales process and pretty soon, I was consulting with my own clients. Whether it was in French, English, or Spanish I was able to assist clients and help advise to find the right products for their needs. Many clients are loyalists to the brand for decades, so in many cases, they shared with me what made them love Clarins products so much. Aside from a vast array of products, Clarins Printemps is the only beauty brand that has a spa on-site with two on-staff aestheticians, available for face and full body treatments. Built with sound proof materials, Clarins Spa is fully equipped and ready to relax and rejuvenate clients. Whether it be to enjoy a spa service, purchase body and skin care products, or receive a flash make-over, clients have many options at Clarins Printemps. During the week, I enjoyed the fast pace and learning from a knowledgeable team. It was a great experience to work as a beauty consultant and understand more about what makes Clarins such a beloved beauty brand.